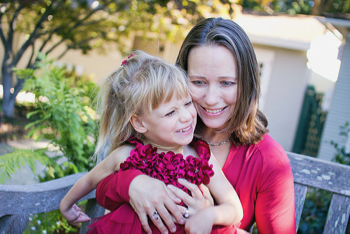 It’s Tanya Sheckley’s hope that out of the tragic death of her daughter, Eliza, will spring a legacy. She is planning on opening a first-in-the-world school that offers a fully integrated neuro-development program for children with physical and communication disabilities in Menlo Park this fall. “I have been working on opening Up Academy for most of the last three years,” she said. “It is inspired by my daughter who had cerebral palsy. I spent the first five years of her life researching, learning, trying different therapeutic approaches and gaining knowledge about basic neuroscience to try and help her reach her full potential. Tanya explained that after Eliza died in March, 2016, she did a lot soul searching, trying to figure out something positive that could come out of it. She also went through an extended period of healing, but is now in a place to make good on Eliza’s legacy. Tanya hopes to get a conditional use permit from the City of Menlo Park to share warehouse space with another school in what was once a preschool in an industrial area in east Menlo Park. You can learn more about Up Academy, including how to enroll, on the school’s website.